If you live in a part of the country like Texas, which has a lot of wind energy to harvest, you may want to consider harnessing wind power to generate electricity for your home. Small wind turbines can save you money on your electric bills by reducing the amount of electricity you purchase to power your home. Living in a windy area is not necessarily a prerequisite for wind power. For a home wind turbine to be worth your investment, you should live on an acre or more, according to the guideline from the U.S. Department of Energy’s Guide to Small Wind Electric Systems. Wind turbines work by converting the kinetic energy in wind into mechanical power that spins a generator to produce electricity. Today’s turbines have blades that are aerodynamically designed to capture the maximum amount of energy from the wind. You have at least one acre of land in a rural area. 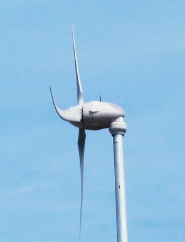 Local zoning codes allow for wind turbines. Your average electric bills are more than $150 per month. You are ready to make a long-term investment. While installing a wind turbine in a residential neighborhood is possible, you will want to confirm that your local zoning laws and homeowner association (HOA) allow such installations. Texas law, for example, does not allow HOAs to include or enforce provisions within their regulations, covenants or by-laws that prohibit or restrict homeowners from installing a solar energy device; however, this is not the case for wind generators. When installing your system, consider whether you want to connect to the grid, be completely off-grid or run your wind system in tandem with a solar photo-voltaic (PV) system. 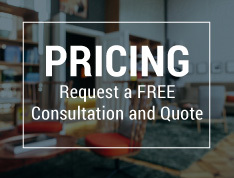 We recommend that you work with a certified or licensed professional who is insured and bonded. Your local code officials can make recommendations for qualified professionals.